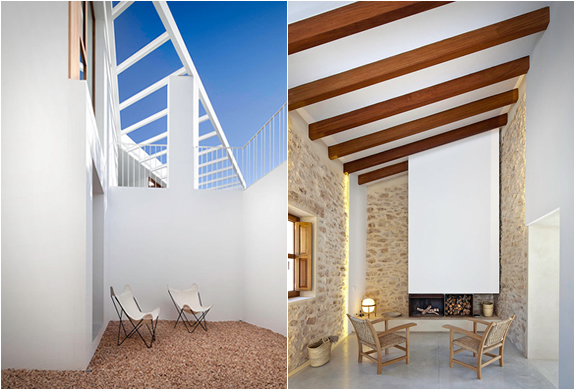 We recently featured a beautiful single level home and work studio in Spanish island Formentera Designed by Spanish architect Marià Castelló Martínez. 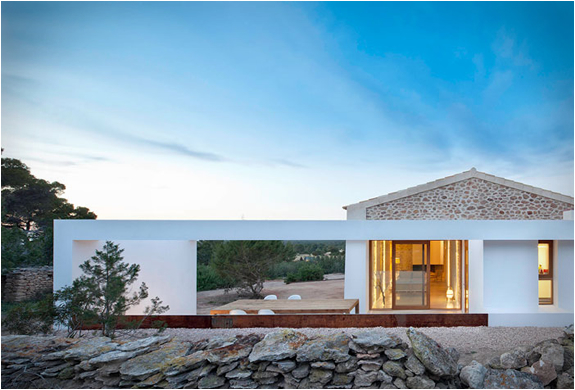 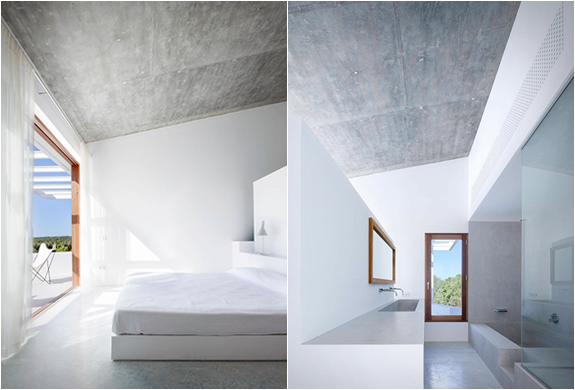 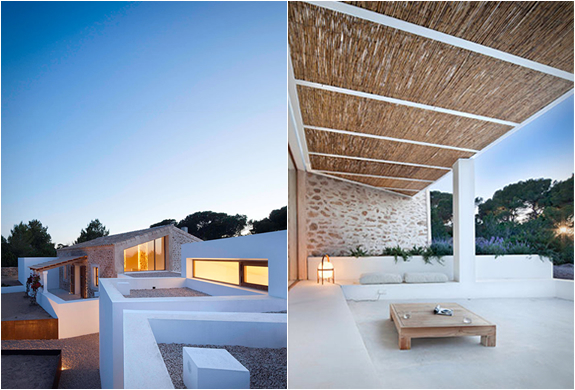 This time around we feature another of her architecture masterpieces also in Formentera. 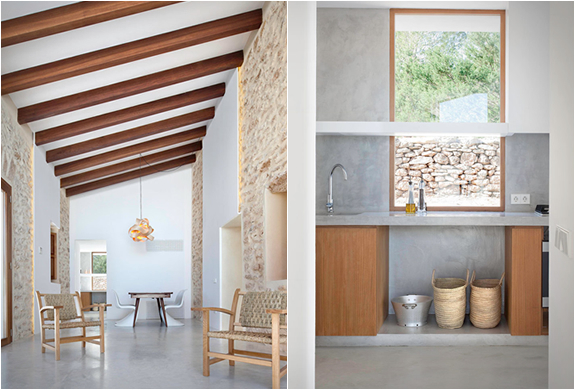 The contemporary property nemed Can Manuel d’en Corda, features beautiful interior woodwork, exposed original stone walls, exposed original wooden beams, and fully utilizes the outside space creating inviting courtyards to relax.